We often think about machine learning in the context of a robot beating a human at a game of chess. Or, contextual word processing for automated replies. But, those big applications often produce less than desirable results. In fact, machine learning delivers best when it comes to small, subtle user experiences. 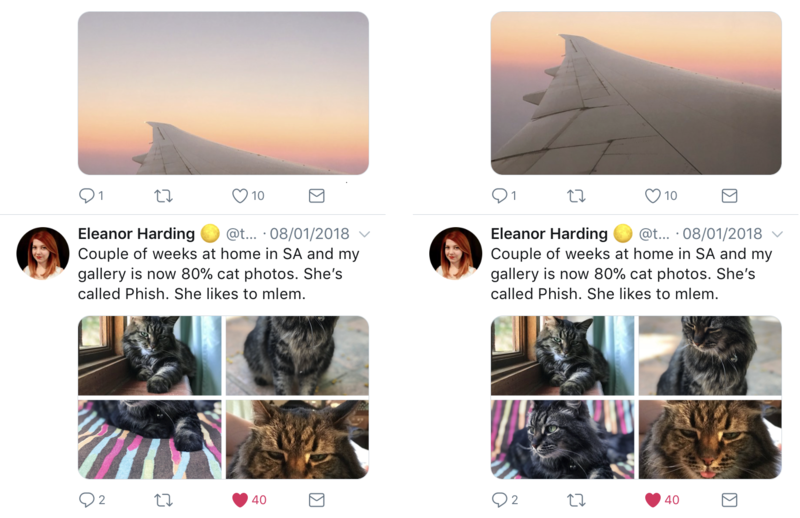 And, that seems to rightly be the case with Twitter’s use of neural networks to automatically crop photos. Twitter announced this tool on its official blog. The microblog states that million of images are uploaded to the network every single day. What’s more, these images come in different shapes and sizes. Twitter states this very phenomenon presents a real challenge in delivering a consistent UI or user interface experience. ML researcher Lucas Theis and ML lead Zehan Wang explain the company previously relied face detection to pull into focus the most prominent faces in images. But, this technique presents a problem because not all photos contain faces. What’s more, the old technology sometimes missed faces or identified faces in images where no actual faces appear. The new technology is currently rolling out to the desktop platform, as well as on iOS and Android. See more photos of the Twitter machine learning auto image cropping in action here.